← Is Santa too materialistic? Do we still need the poster? 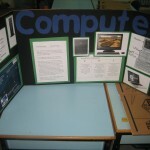 My grade 3 students recently held their Invention Fair. They presented a tri-board of research on a particular invention and shared their own invention they created to solve a problem at home. The home invention went through stages of brainstorming, selecting, sketching, building, testing, and reflecting. The research at school, including questioning, planning, recording, organizing, interpreting, and presenting, resulted in products for their tri-board such as timelines, diagrams, reports, graphic organizers, and bibliographies. 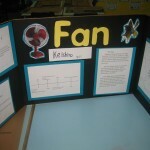 Can the Invention Fair only focus on the student created inventions and the process they went through? Isn’t research skills one of our transdisciplinary skills, including presenting research findings? Should there be a balance in the presenting of research between posters and digital media (if available)? Shouldn’t it be more about the process and not the product? If all the research was presented digitally, do we need the fair experience? 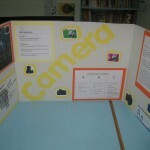 Don’t students need experience with creating posters and presenting at fairs before Grade 5 Exhibition? It’s all about balance isn’t it? What do you think? 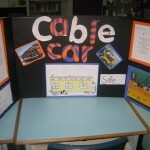 Does your school have a poster-like event in various grade levels? Is there value to the poster as long as it is not overused? 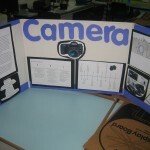 This entry was posted in unit of inquiry and tagged posters, rubrics, units of inquiry, writing. Bookmark the permalink.